For 30 years, ESET® has been developing industry-leading IT security software and services for businesses and consumers worldwide. 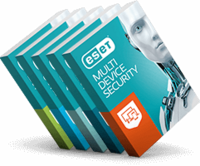 With solutions ranging from endpoint and mobile security, to encryption and two-factor authentication, ESET’s high-performing, easy-to-use products give consumers and businesses the peace of mind to enjoy the full potential of their technology. ESET unobtrusively protects and monitors 24/7, updating defenses in real time to keep users safe and businesses running without interruption. Evolving threats require an evolving IT security company. Backed by R&D centers worldwide, ESET becomes the first IT security company to earn 100 Virus Bulletin VB100 awards, identifying every single “in-the-wild” malware without interruption since 2003. For more information, visit www.eset.com or follow us on LinkedIn, Facebook, and Twitter.